Maximum respect!You always were a great songwriter. Hey Artie, Great story and hope they will re-release it for this Christmas! 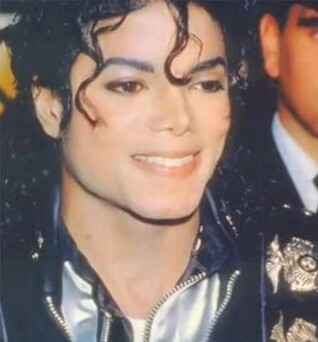 I MISS MICHAEL SO MUCH….IF ONLY……………..LET’S ALL TAKE A LOOK IN THE MIRROR AND MAKE A CHANGE. I thought only Jewish composers wrote, heart-touching Christmas songs for the whole family. performed by the then young, all-time great. i really like him when he was alive and i liked his songs he did. How beautiful. I know everyone here cares very much for how people will remember Michael. We need the truth about his innocence to come out. Visit mjtruthnow.com where there is proof of his innocence. When you sign up for the bulletin/newsletter there will be information on how you can help to restore integrity to the mainstream media that hurt Michael so much. “It’s the middle of summer, about 90 degrees, but we have to get in a Christmas Mood.” Amazing story Artie, thanks for sharing! You had a great idea to compile your Michael Jackson track with the other motown singles. Because of their availabilty, they got a lot of radio airplay around the holiday and presumably generated some revenues for the writers and publishers of those songs. I’d never heard this before. great story, great song & performance. Love live MJ! Interesting to read the song’s background. Love the blog. It frequently brings a smile to my face. Another great story, and I hope you go to the bank with this one! Thanks for any other wonderful post. Where else may anyone get that type of info in such an ideal manner of writing? I have a presentation subsequent week, and I am at the look for such info. Hi I love your blog! May I repost your article on my blog? You mentioned we can share it but I wasn’t sure if you meant in print as well. Thanks for your consideration. « THE TOP, THE BEST, AND THE GREATEST MICHAEL JACKSON VIDEOS!